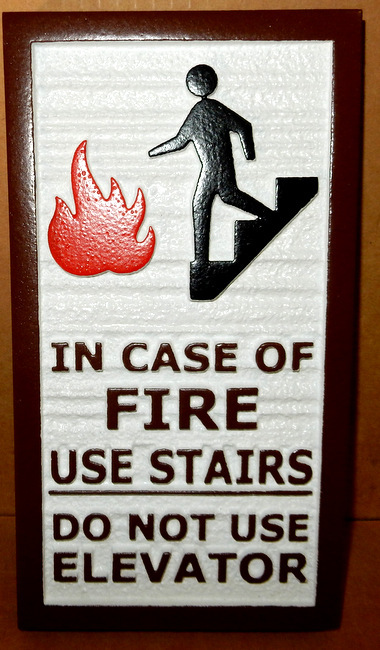 This carved and sandblasted HDU "In Case of Fire" sign has raised text, artwork and border, and a sandblasted wood grain background. After artist painting, the sign is clear-coated twice for additional weather and UV protection. The sign is mounted on a wall. For more information on design options, prices and delivery schedules, please call us at 851-698-8484 or email us at info@artsignworks.com, and our knowledgeable and helpful customer service representatives will respond promptly to your request.